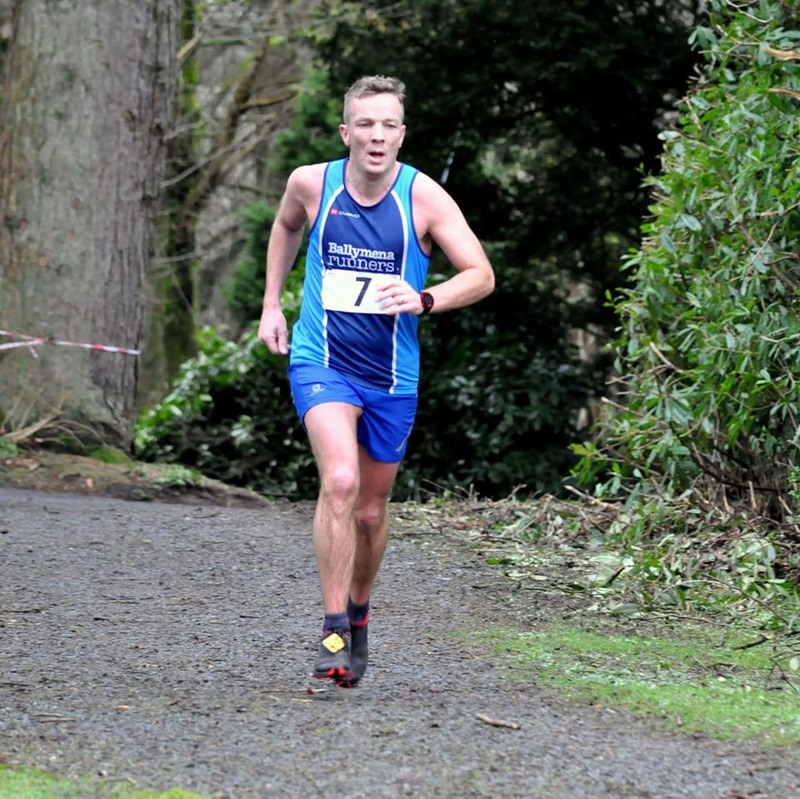 Jason Wilson maintained his excellent start to 2018 with victory in the Sperrin Harriers Drum Manor Forest 10k on Saturday. Jason broke the tape in an impressive 37:13, over 20 seconds ahead of runner-up Shane Donnelly and Omagh's Conor Maguire in third spot. It was his second win of the Winter Trail Series, coming hard on the heels of his victory over An Creagan just two weeks ago. In the ladies race, Gillian Wasson finished second Grace Carson of Mid Ulster AC, but ahead of Termoneeny's Helena Quinn. Furthermore, there were age category wins for Mark Alexander (M45; 41:23) and Linda Petticrew (F50; 51:12). Also representing the club at the event were Ruth Aiken (58:39), Susanna Allen (55:37), Harry Armstrong (59:46), Adrian Dodds (1:03:26), Alastair Donaghy (53:41), Emma Donnelly (1:03:26), William Fleck (42:28), Terry Foley (1:05:41), Alison Foster (53:57), Allan Foster (58:38), Alistair Hill (48:45), Naomi Hutchinson (53:31), Glenn McGall (51:52), Karen Purvis (55:48), Neil Purvis (50:38) and David Rainey (50:07). The NI and Ulster Masters Cross Country Championships took place on Saturday at the Billy Neill Centre near Dundonald. Each club could run six members in the four-to-score team event. First up was the Masters Ladies and with Ballymena Runners fielding just the minimum four runners. Th ladies pulled out all the stops over a tough 4k course and with heavy underfoot conditions along with a steady hill climb each lap it was a test of endurance. The Ballymena Ladies picked up a superb bronze championship medal with Paula Worthington in 6th (16:17) leading the team home. Judith Brown 17th (17:41) had an excellent race, with Geraldine Quigley 28th (18:27) working hard right to the end. Sinead Scullion 60th (20:51) closed out the team. Well done ladies. Next up the Masters Men over 8k with the club fielding eight runners in this event. Ben Morrow (10th) produced a solid run backed up by Michael Bennett(25th), Noel Connor (39th), James Turtle (41st), Richard Agnew (46th), John Robinson (49th), John Hasson (55th) and Paul Connolly (94th) ... well done guys. In the Intermediate Ladies event Kerry Bamber ran a determined race to take individual bronze over 4k (17:19), the heavy conditions becoming even more strength sapping as the race programme progressed. Well done, Kerry, on your championship medal. Next Saturday is the annual Stormont Cross-Country/Trail events. A bus has been organised to take club members who wish to give it a go. The coaching committee would encourage runners of all standards to turn out and represent the club.